A student is spotted with a gun in the hallway, and the Police Alarm is pulled. 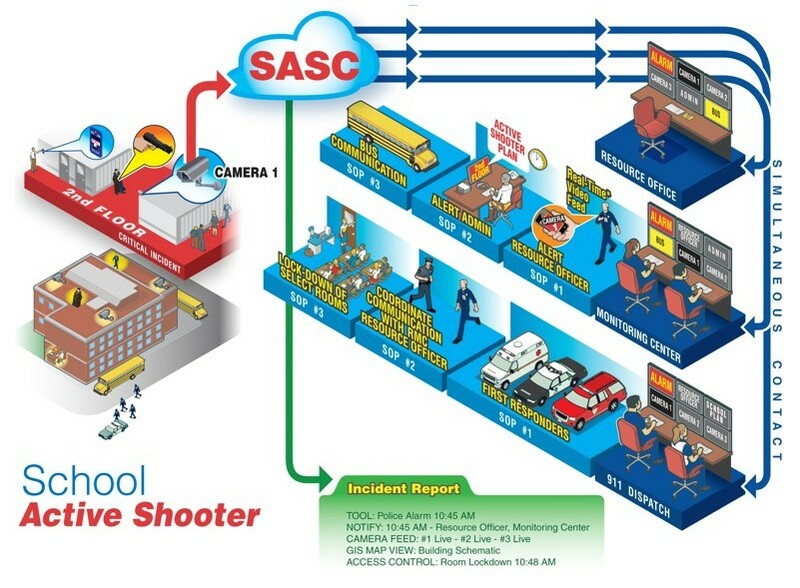 SASC immediately contacts 911, the Monitoring Center, and the Resource Office with pre-determined SOP instructions for each. A scream rings out in the parking lot. 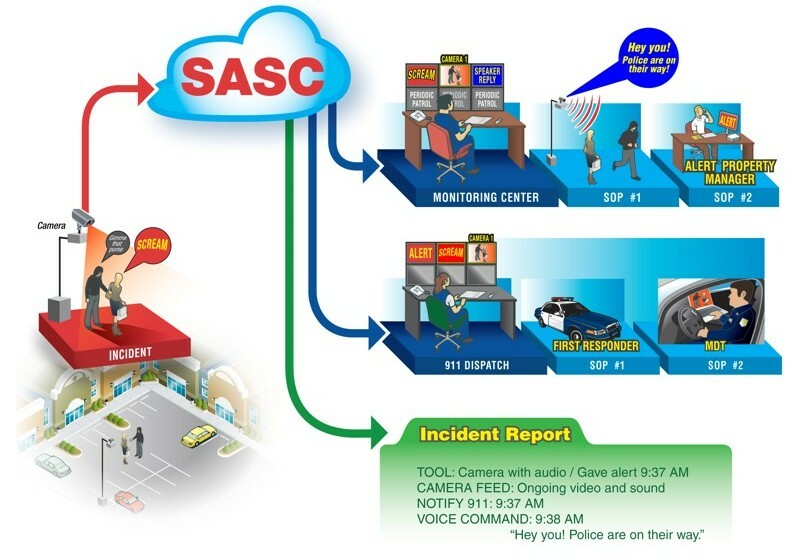 Thanks to an Audio equipped Camera and SASC Intelligence, the scream is identified as Violence and both 911 and the Shopping Center’s Monitoring Center are alerted simultaneously with SOP instructions to each. Because the Camera is equipped with full Audio, the Monitoring Center can actually address the Aggressor directly to scare him off. A truck rolls up to the fence in the middle of the night. 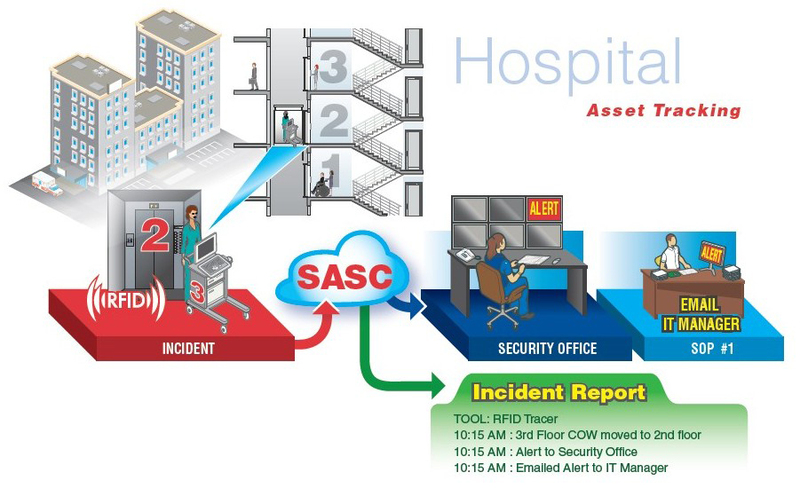 The intruder climbs the fence and trips a vibration alarm, setting off a siren and camera feed.The monitoring center gets the alert immediately, with SOP instructions and camera feed. 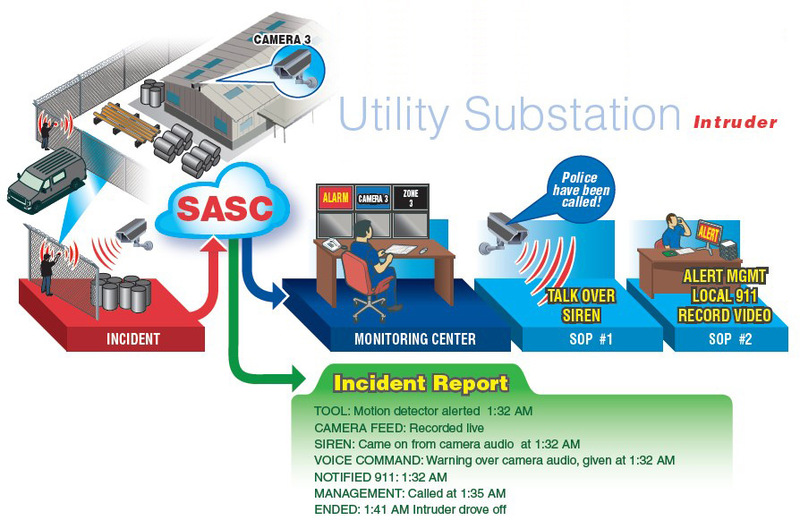 Since the camera feed is audio enabled, the monitoring center is able to address the intruder directly to scare him off. A computer on wheels (COW) assigned to the third floor nurses is moved to the second floor. The IT Manager gets alerted so he can follow-up. This is the third occurrence in two weeks.